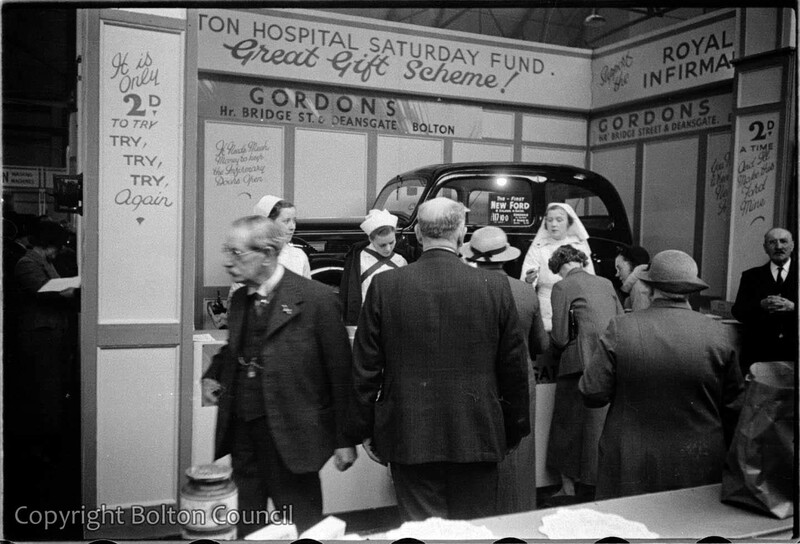 A stall for Bolton Hospital’s Saturday Fund at the Happy Homes Exhibition, Drill Hall, Silverwell Street. The exhibition was organised by Bolton Chamber of Trades to promote commerce in Bolton. Visitors to the stand had the opportunity to win the 8 H.P. Ford car on display.